Rosamund Lupton flew to the top of the paperback charts with her début novel Sister back in 2010, making her best-seller on both the New York Times and Sunday Times lists. Her second novel, Afterwards then went on to be chosen as ‘Best Book of 2012’ by Amazon USA. 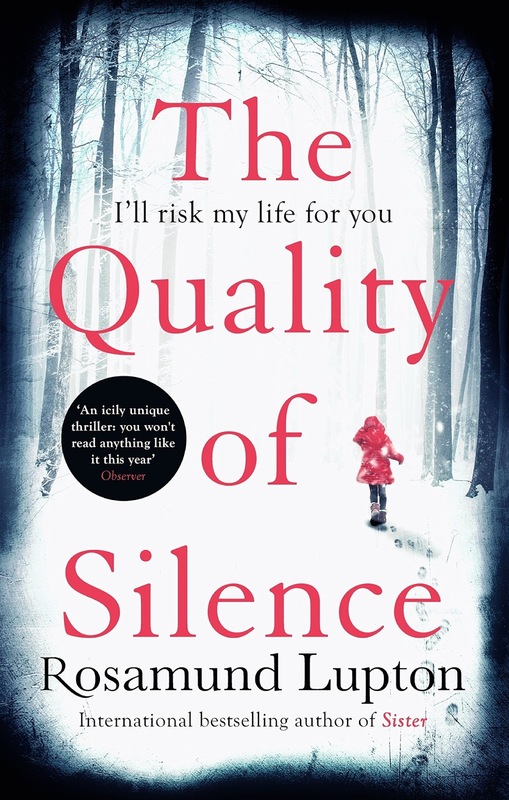 The Quality of Silence is Rosamund’s highly anticipated third novel and was published in the UK by Little, Brown on the 2nd of July 2015. When Yasmin is told that her husband died in a fire that ravaged the tiny Alaskan village he was staying at, she knew it couldn’t be true. The last time they spoke it was tense to say the least, he’d admitted to kissing a woman from the village and Yasmin had felt the last bonds of their marriage breaking. In desperation she packed as quickly as she could and along with her daughter, travelled to Alaska. Ruby was excited to see her Dad, he’d promised her they would start their blog about the Alaskan wildlife that he was documenting but as she reads the lips and the body language of the people around her, she knows something was wrong. Being deaf she did miss out on some conversations at the police station, if the person speaking wasn’t looking directly at her, but after a while her Mum led her away from the warmth and into the cold. Yasmin and her husband had always agreed never to lie to Ruby, to use her disability against her and yet she found herself bending the truth as she pulls her around the airport, desperate to find a flight. A storm is on it’s way though so flying isn’t an option so she turns to truckers to help her. I enjoyed The Quality of Silence from the very first page but as Ruby and Yasmin started their journey across Alaska I was truly smitten. Rosamund’s careful portrayal of the beautiful yet brutal Alaskan landscape is utterly captivating. The duo may not be alone in Alaska but the environment they’re negotiating is just as much of a threat to them as anything else. The ice around them is alive as any of the characters and he use of light and dark weaves a web of tension that is just fabulous. Along with an incredible environment The Quality of Silence as has two superb female leads. Young Ruby is an intelligent girl that is old beyond her years due to her disability, making her an integral part of the story and their survival rather than a hindrance. Her mother Yasmin is equally intelligent and arguably selfish to take her daughter on such a dangerous journey but you warm to her determination and you’re ultimately left white knuckled as you tightly grip the book, willing her on against all the odds. This glorious tale of determination, survival, greed and love is utterly breathtaking and has been one of my literary highlights of the year. Buy your copy of The Quality of Silence from Amazon here.